Accident Reconstruction combines engineering, physics, mechanics, conditions prior to the crash and individual statements to accurately determine how and why an accident occurred. Focus Investigations will perform roadway analysis, vehicle inspections, and confirm weather, lighting and traffic conditions at the time of the crash to accurately reconstruct the events surrounding the collision. (Greater Cincinnati/ Northern Kentucky Area) We understand that no one plans a crash around standard business hours. 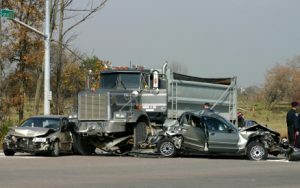 Whether your employee has crashed a company vehicle or a policyholder has been in a fatal accident; Focus Investigations stands ready to respond directly to the scene of the accident and begin investigating to determine the events surrounding a collision, while the evidence is still fresh – 24-hours-a-day, 7-days-a-week. In order to determine the events surrounding a collision, initial investigative groundwork must occur before an expert opinion can be formed. This groundwork should include interviews of law enforcement, witnesses, accident victims and an evaluation of road conditions, including weather and lighting in the accident area. As the investigation progresses, the facts may evolve or different details could come to light, changing the entire complexion of the case. Focus Investigations provides initial investigative support and combines the evidence gathered with a scientific reconstruction to provide an accurate reflection of events. Nothing provides a judge or jury with a clear picture of the truth better than a crash scene animation. Focus Investigations utilizes measurements and analysis taken from the scene of the accident to create a crash scene animation that provides a visual statement that is invaluable when the facts and analysis are complicated or difficult to understand. Our expert reports contain all of the details about the crash including our analysis of the many factors that lead to determining a clear understanding of the events before, during and after the collision. Expert reports can be presented as evidence at trial and can be useful in communicating and keeping a record of the accident investigation and reconstruction findings. Should the matter of the accident go to trial, our trained experts are available both to prepare you for the trial and to offer expert testimony as to the factors involved in the collision. Contact Focus Investigations to find out more about Accident Reconstruction.